The Emily house is made here in store at Chickengear by Bob to a very high standard of craftsmanship. 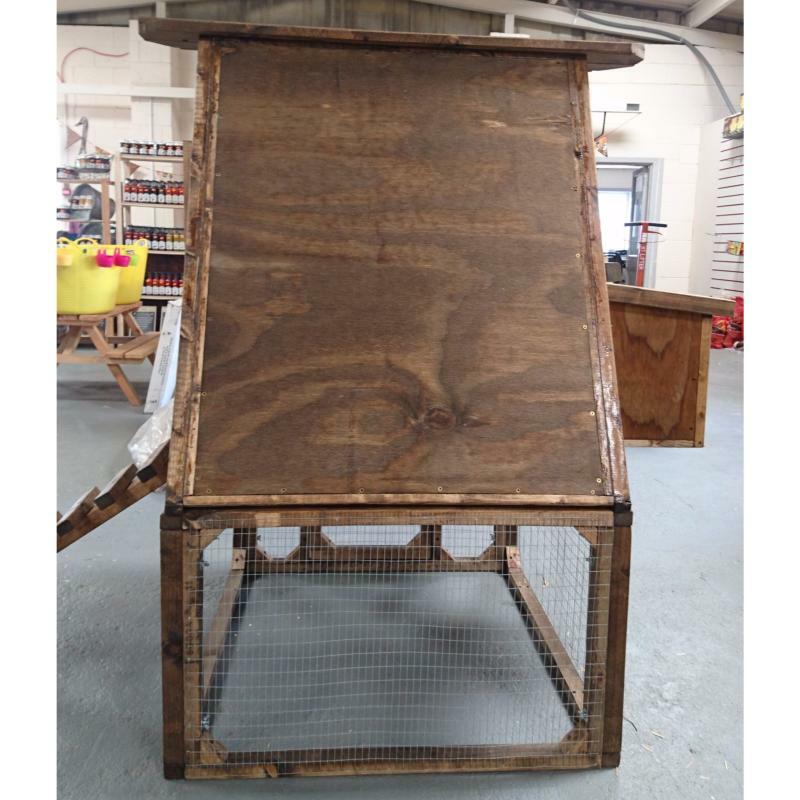 The design has been inspired by the years of experience in chicken keeping and has taken into account owner’s and chicken’s needs. We always recommend a house made from timber as it will move and breathe with the seasons. So in the winter your chickens won’t freeze in the cold and in the summer they won’t suffocate in the heat. It will provide a healthy atmosphere with the correct ventilation and will not be damp with condensation every time the temperature changes. The Emily House has an exceptionally large access door to the roosting area which makes light work of cleaning the internal area. 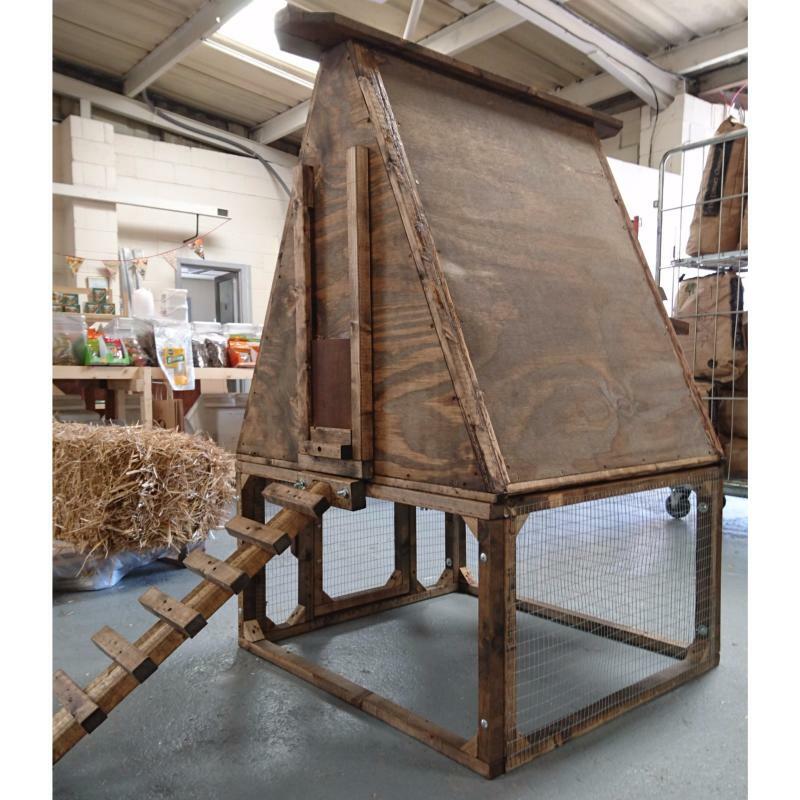 With such great access to the coop it makes checking for mites visibly easier and there is no need to struggle on hands and knees through small door ways. 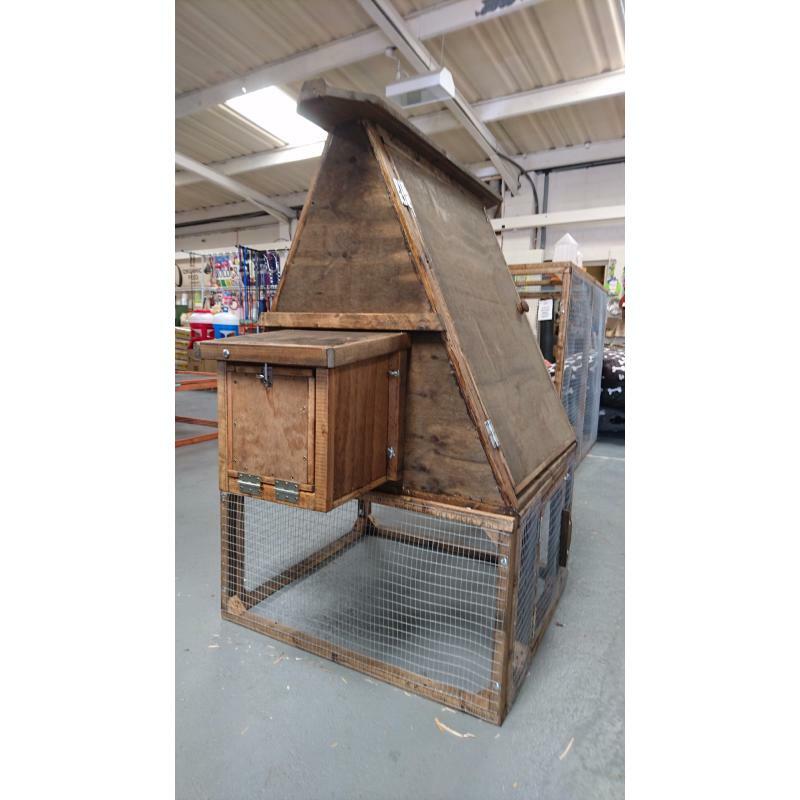 The Emily House can either come with a traditional wooden nest box or can be fitted with a BEC ChickBox at an additional cost of £40. This provides a modern, hygienic and aesthetically pleasing alternative to traditional wooden products. It can be used with most poultrybreeds and is manufactured from a tough ABS Polymer which does not rot. The Emily House is a modular system designed to house 3-4 chickens. The house can be purchased as a standalone house - Emily House, or a house with standard run - Emily Coop or a House and extended run - Emily T Coop. The standalone Emily house can be enclosed in a run. We can also cater specifically for your needs and adjust the size or layout of the run accordingly. If you would like to discuss a coop with your specified requirements please contact us. As this is a specialised item please contact us for a delivery cost and an estimated timescale for delivery.